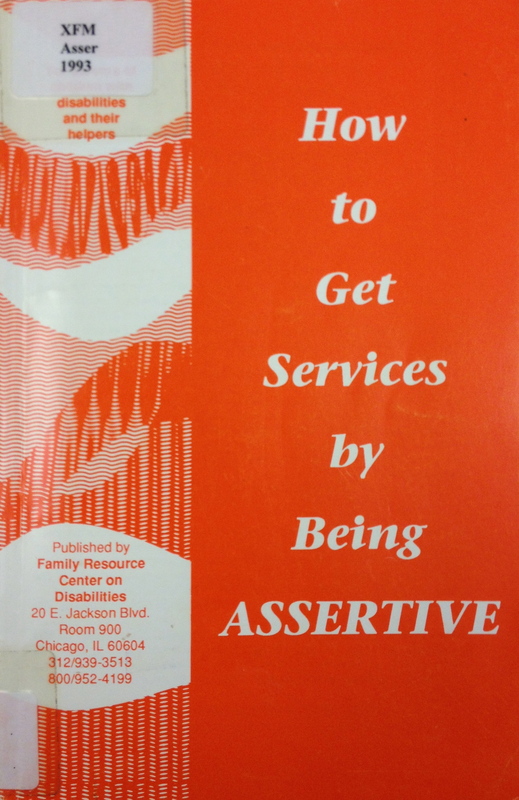 How to Get Services by Being Assertive published by Family Resource Center on Disabilities. The book contains sections on how to determine your style, use assertiveness at special education meeting hearings, (due process hearings, etc. ), deal with bureaucrats and public officials, and much more. Includes assertiveness exercises on topics such as “Using their Negatives to Build Your Positives”, and “How to Shovel Your Way Out of Those Bureaucratic Snow Jobs.” The book summarizes special education law and available resources without becoming bogged down in these topics. Pp.208.